instead strategically focused on your charity’s mission. For example, statistics about homelessness throughout the country may be interesting but what might deliver more punch, is the effect that homelessness has on one individual. This specific example could be a powerful draw particularly if the charity provided a way out of this homeless individual’s plight. Write like you talk. Be real. Maintaining your unique voice throughout your blog can be its most alluring attribute. 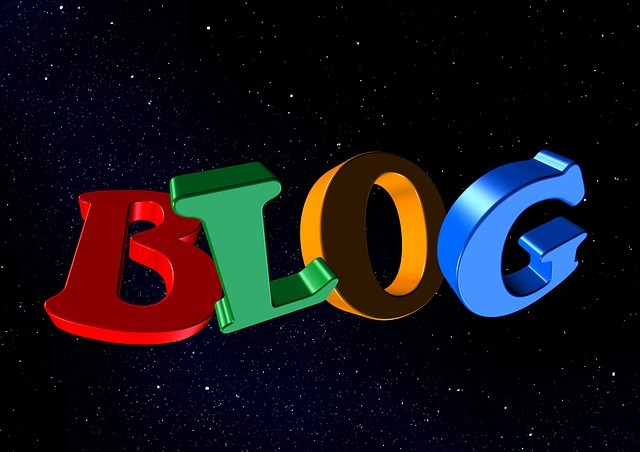 Readers want a blog post that flows easily and is entertaining. So when you must include statistics or details, keep in mind that most of us who utilize social media are not interested in reading an article that requires a master’s degree to comprehend. Post on a consistent schedule. Decide what days you will publish articles before you begin your blog. Personally, I prefer to post twice a week - Tuesdays and Thursdays. I rarely deviate from that schedule because readers come to expect new information on this well-established timetable. Search engines will also notice that you post on a regular basis and will send your blog additional traffic. Ask for donations. Make sure your blog page has a ‘Donate Now” button. When asking for donations, be sincere and straight-forward. The most common mistake made by organizations dependent upon donations is hiding or minimizing the ask. Be bold. Be kind. Ask often. Include photos. Visual aids can be a key ingredient to a blog’s success. Photos can be used to elicit interest, drive home a point, and support the blog’s content. Please check for photo permissions and copyrights before publishing. Share your blog on social media. Social media sites like Facebook, LinkedIn, and Twitter drive traffic to your blog. Social media sharing should be integrated into your online marketing strategy. Don’t write an article and expect the World Wide Web to deliver it for you. Try out productivity accelerators like HootSuite to post to multiple social media sites at the same time using a scheduled publisher. Hootsuite is free for up to 3 social media sites. If you need to post to more than the allotted 3 sites, a reasonable monthly fee is appropriated. Tell a story. Donors that support your charity want to read real-life stories. They want to see how their contributions have helped make a difference. Tell a story that tugs at the heartstrings. Describe the solution to a life situation relating to your mission. The most persuasive blog posts emotionally unite the reader to your story. Show gratitude to donors/volunteers/staff for their efforts. Give an online thank you. Your sincere appreciation can stimulate and increase volunteers, donations, and efforts. When one is treated fairly and with respect, there isn’t a more powerful vehicle of inspiration and reciprocation in the world! Word-of-mouth advertising is invaluable and possibly incalculable for your organization. Optimize. It’s essential to optimize your blog by including tags, popular keywords, links, and using alt tags (alt attribute) for photos/images. You can also use geotags to pinpoint your location. Most social media sites, which offer blogging, offers geotags as well. Remember to add a meta description for each new blog post. The meta description is a snippet of up to 320 characters that describes a blog page's content. Search engines show the meta description in search results usually when the searched phrase is included in the description. A good description can ensure a better result in the SERPs (search engine results pages). It’s also a good idea to use the Google Keyword Tool to find popular search results keywords. Advertising. This is just my personal opinion but I don’t believe in using AdSense, or any of the other advertising sites to promote on a nonprofit blog. I think it’s in bad taste. However, I do believe in monetizing your nonprofit blog by leading possible new donors to your charity’s website gift page. This above blog post is for informational purposes only. The material discussed should not be construed as legal opinion or as legal advice. You should consult legal counsel concerning your own situation and any legal questions.